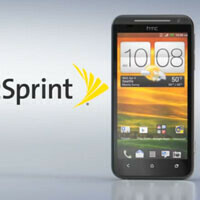 We’re fresh off of yesterday’s announcement of the HTC EVO 4G LTE on Sprint. It looks like HTC is wasting no time promoting the newest addition to its EVO lineup. As you can see from the video below, HTC is showcasing its latest Android handset, which is only 8.9mm thick, with an elegant video that compares its sleekness to that of a pin. The HTC EVO 4G LTE sports a 4.7-inch S-LCD 2 display, a 1.5GHz dual-core Qualcomm Snapdragon S4, 1GB RAM, an 8MP camera with 1080p video, Android 4.0, and, of course, 4G LTE connectivity. For more information on this handset, be sure to check out our hands-on and specs comparison. i like it.... sadly i don't have sprint. Sadly, this tells us nothing about the phone aside from the obvious that it's an HTC device, has LTE, and is for the Sprint network. Also, no one will understand what the pin is about except for the people who have heard about the "HD calling" that it's supposed to have. This phone seems to be a fairly good successor in the Evo line, I just hope that Sprint's LTE network does roll out fast and that the data speeds are not as disappointing as WiMax speeds. The pin drop goes back to the Sprint ads from the 90s. Yeah, this is a better phone compare to the upcoming AT&T's version but I think AT&T 4G hspa+ service is better than Sprint 4G wimax in the SF bay area. Service is more important to me before looking at the phone specs. yeah I had noticed that too. I know this is highly unlikely but what if they found a way to put a quad-core in the EVO 4G LTE 3-D. That would be great! Looks like a sheep is thumbs downing everyone. So what do you do when the battery dies? Do you send it in with $80+ to get it changed? There was a time, sometime last year, when I sadly rated my prospects of ever getting another HTC phone at 0% (sadly because I love the company, but had been extremely disappointed with their offerings, especially compared to the likes of Samsung and Apple.) The Evo 4G LTE has completely changed this. Well played HTC. Well played Sprint.